Moving can be a really overwhelming process to go through. Besides the stress of moving to a new place, there are too many household tasks to be done. If you stay organized, you may be ready to enjoy your new home in no time. Try to avoid chaos by following our simple packing tips. First, make an inventory list with the items which you are going to pack. Consider donating or throwing away any unwanted stuff. A garage sale is a good way to get rid of some things and also earn some money. Your friends or relatives can also be happy to give them some stuff that you do not need any more. 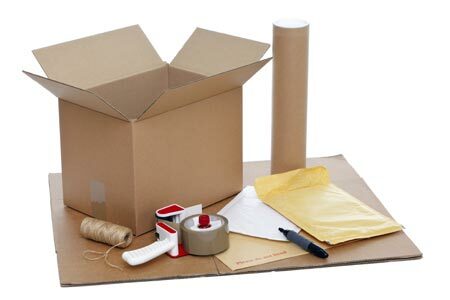 If you have decided to pack on your own, buy all necessary supplies such as boxes and other packing materials. Professional moving companies also offer moving kits which will make things easier. Start packing your items room by room and do not forget to label the boxes. This way you will stay organized. Put heavy items in smaller boxes and lighter items such as your bedding in large boxes. This way you and your movers will be able to easily lift the boxes. If you put some heavy and some light things in the same box, consider placing the heavy items on the bottom of the box to prevent damages. When filling the boxes, do not leave empty spaces. You can easily fill any gaps with towels, paper or clothing. Loosely packed boxes are more likely to damage stuff inside. If there is some china or glasses inside, label the box “fragile”. Other boxes you may mark “open first”. Also write what is inside and to which room the contents belong. This will make things easier. For any items that need special treatment such as arts or breakables, wrap them well or use their original boxes for packing. Also inform movers to be careful with those. Tape the boxes well and you are ready to go. This entry was posted in Packing tips on October 1, 2014 by Izzy Removals.